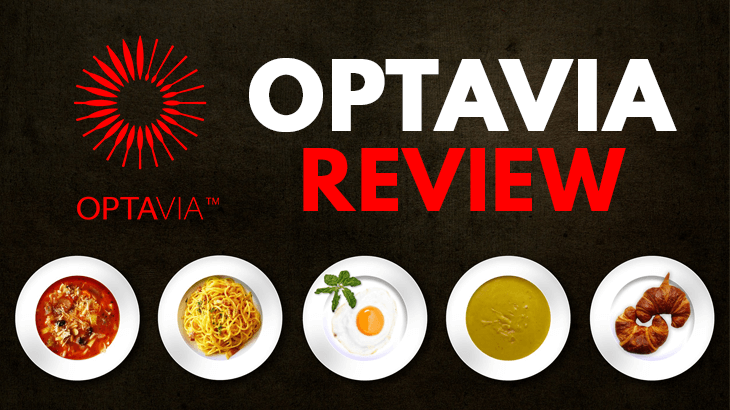 Welcome to my Optavia review! First of all, I must Congratulate you for taking your time to do your own research before buying into any "seemingly good" product/program. Is it true that you can really create health & wealth at the same time through this program? Or is Optavia a scam? Personally, I'm not affiliated or in any relationship with Optavia, so I'm not here to pitch this opportunity to you. The background of Optavia is a little bit complicated. Optavia was only created in 2016/2017 but it was rebranded from the program called "Take Shape For Life", which was created in 2002/2003. If you search for Take Shape For Life now, it will be redirected to Optavia's website. Basically, Optavia and Take Shape For Life are the same program offering the same products & services. The difference is that Optavia is now an independent company on its own while Take Shape For Life was considered a part of another company called Medifast. However, both Take Shape For Life & Optavia are considered subsidiaries of Medifast, which is a very reputable weight loos company founded in 1980. Nevermind. That's not the most important part. I'm just laying out the facts for your information. Fact #2: What Products & Services are Optavia Offering? Meal replacements are substitutes of solid food meal which are purposely formulated in the way to help you lose weight but still ingest sufficient nutrition that your body needs. Another major component of Optavia is the coaching & community system it has in place. Losing weight can be a lonely process that requires lots of determination. That's why having people to hold you accountable is very crucial. Optavia has created a community around weight loss and there's a "coaching system" for members to help each other out. However, there are definitely some flaws about their system which I'll be covering in a minute. Fact #3: What's the Business Model of Optavia? MLM is also known as direct selling or network marketing. Basically, it's a business model that doesn't rely on traditional retailers to sell their products. Instead, they rely on their own members (also known as "independent distributors") to promote their products. In other words, you can't purchase MLM products directly from physical shops like your local supermarkets. Instead, you have to purchase them via these distributors. In the case of Optavia, if you want to purchase their meal replacement products, you have to get in touch with one of their distributors. And if you want to make money from Optavia, you have to pay $199 to become their distributor, then you can promote their products to other people and get paid. Take note! MLM does not equal to scams! Optavia claimed that you'll get a "health coach" to offer you guidance and accountability on your journey of losing weight. However, these are not real coaches who specialize in health. Far from that! These so-called "health coaches" are just Optavia's Independent Distributor. Your health coach will be the person who enrolled you into Optavia and sell you their products, i.e. your sponser! So please be extra careful on this. Yes, they're definitely more experience than you in terms of their knowledge about Optavia's products. But, they may not know as much as you in terms of health. Most probably, they hold the same "Google Health Degree" as you! This is a guide authored by Dr. Wayne Scott Andersen, the co-founder of Take Shape For Life/Optavia. Basically, this is just a generic guide which provides information on changing your eating habits and lifestyle to benefit long-term health. This involves meetings and events with different Optavia members. It also involves daily phone calls and text messages with instructions and inspiration to aid you stay on track. One good thing about Optavia like I've mentioned, is the accountability they're trying to provide in their community as a whole. "Fuelings" is the term they use to describe meal replacements. Optavia has more than 60 choices of fuelings. Another thing worth taking note is that Optavia claimed that all their fuelings are backed up by science. They have medical and corporate backing. Like I've said earlier on, Optavia adopts a pretty unique compensation plan as compared to the ordinary MLM companies. However, Optavia doesn't have any of that. Product prices are the same for everyone regardless if you're a distributor or not. And, Optavia distributors can't make money by enrolling new members. How to Make Money with Optavia then? First of all, in order for you to be eligible to earn commission from Optavia, you need to purchase the "Health Coach Business Kit" at $199, which has the basic training & marketing materials to help you get started. This is compulsory. Once you've purchased that, you can officially become a "Health Coach" of Optavia. You earn commission based on the amount of products your downlines purchase. The percentage of the commission you can earn depends on your total revenue. That's why you're not getting paid for enrolling new members. You're only getting paid when they purchase products. This is actually a good system because it won't turn into a vicious cycle of enrolling members like some other MLM companies do. In fact, if a company focuses too much on recruiting and enrolling new members, it's possible for them to turn into a pyramid scheme. As your downline and revenue grow, you can advance in ranks. So the next level you can achieve is to make money for mentoring other Health Coaches and helping them succeed. Also, you'll make money for building successful teams of coaches. For example, there are bonuses and commission payout when you help your downlines achieve certain rank, certain sales or growing your team. Business Leader Income is earned when you have achieved the rank of "Regional Director" and you've helped your downline to achieve the rank of "Executive Director". I won't go into the details but the concept here is that you get compensated for developing leadership within your team. Whilst, for Business Coach Income, you get compensated for developing coaches in your team. So, you first start off as a client, and then climb to become a coach, and then the next level is to become the leader in your team helping more people climb up the ranks and succeed. That's the overall big picture. If you want to find out the details, take a look at their compensation plan here! Tired of MLM? Check out my #1 Recommendation Here! Like I've explained earlier on, Optavia is a subsidiary of Medifast, a publicly traded company specializing in the weight loss industry since 1980. This solid background definitely gives Optavia certain level of credibility in terms of the products they offer. A lot of compensation plans simply focus a lot on recruiting new members. But Optavia's compensation plan is based on product sales, not recruiting. Also, if you're not satisfied with the products offered by them, you can still get a refund within 30 days. This is needed because not everyone will like the taste of meal replacements. It's too subjective and we all have different taste preferences. Optavia does sell their fuelings individually. But they'll definitely push you for the "kits" or "packages". They have this thing called "Optimal Health Program". Basically, it's a program to keep you on a plan so that you can get the best results in losing weight. These kits cost at least three or four hundred dollars. It's a 30-day kit so you have to purchase them every single month, unless you don't stick to their meal plan. This is definitely more expensive than those weight watchers or gym membership. Their distributors will tell you that they're actually helping you to save money on other foods and expenditure. While it's true to a certain extent, I'm sure it's impossible for this to completely replace your expenditure on food and drinks, right? And this four hundred dollars kit is only for one person. If you have a family of 4, then the total investment on this for a 30-day plan is at least $1.5K per month. $199 Health Coach Business Kit - This is a one time investment. They'll provide you with the basic training & marketing materials. But to be honest, this is more like a joining fee to become a distributor because I believe those marketing materials don't worth $199. You have to "renew your business" every year for $99 - Seriously, there's no such thing as "renew your business" in MLM. This is just like a recurring membership cost to take more money from you which I don't understand why. Monthly orders - Just like many other MLM, you need to have a monthly order to qualify for commission and ranks. So, can you start to see why everything will just add up and becomes more expensive than it seems in the beginning? P.S. This program that has enabled me to generate a 4-Figure Monthly Passive Income at just 21 years old is FREE to get started and only cost $49/month fee to go full-time! As I've mentioned earlier, their "Health Coaches" are not real experts in health. They're just independent distributors of Optavia who are trying to make money by sharing their business and their products. So, this is really misleading to beginners because they claimed that you'll get your health coach once you join. Innocent people will think that they're real experts in health and will help them to lose weight. Until they join, then they realize these "health coaches" are just their uplines/sponsors. That's why I call them "fake coach". Meal replacements are definitely not for everyone, especially the tastes. Some people have complained about the weird taste of their fuelings. The good thing is that they are increasing the variety of the food so you have more choices. But ultimately, some of the taste will definitely be different and some people just can't take it. It's all trial and errors in the beginning. We all know that controlling what you eat is only one component of losing weight. Yes you can definitely achieve some results by controlling what you put into your body and using meal replacements. But to be honest, doing the right exercise consistently is even more crucial. Also, there are so many delicious food around the world for you to enjoy. It's impossible for you to just consume meal replacements for the rest of your life, right? Yea, sometimes you can use them to curb your appetite and cravings for unhealthy meals. But it's definitely not sustainable in the long run. Are you going to consume your meal replacements when you go out with your friends and they're all partying and enjoying delicious food? There are positive testimonials where people successfully lose weight via meal replacements. So, there's no doubt on that. But whether it works for you is another thing. Losing weight is more about self-control and discipline. Even if you spend lots of money on all these "healthy food", you won't achieve the results you want if you lack the discipline to follow through, right? Whether it works, it's totally up to you. But I personally think exercising is much more important. No, I personally don't think it's worth it because of all the expensive price involved. Optavia's meal replacements can't be a complete substitute to our normal meals. They can only act as a supplement. It's inevitable that we still need to spend lots of money on other groceries, foods, drinks on a daily or weekly basis. Optavia can help us reduce the expenditure on those. But at the same time, it is creating another financial burden, which is the cost of their meal replacements. When you consider everything together, I think it's much better for you to focus on exercising while planning your daily meals wisely. Relying on meal replacements is definitely not a long-term solution in my opinion. Can I Really Make Money with Optavia? If you want to run it as a business and make money, you have to pay $199 on the front-end and $99/year to maintain your "coach" qualification. If you want to receive commission, monthly order of their products is also needed. So, I don't really recommend you to get yourself into such network marketing business because of the high startup cost and the complicated compensation plan. Instead, I encourage you to leverage on the business model called Affiliate Marketing. This is the business model that allowed me to create a 4-Figure Monthly Passive Income stream at just 21 years old without any College degree or working experience. 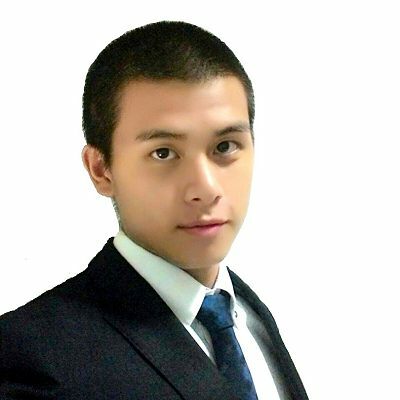 Here's the program that I followed to create such passive income at this young age! Finally, Optavia is definitely not a scam. It's a company with a solid background. But I just think losing weight is more about self-control and discipline, instead of just relying on a company to provide you with meal replacements. To lose weight and stay healthy in the long run, regular exercise is one of the most important element which cannot be ignored. As for making money, Optavia definitely has a unique and better compensation plan than many other MLM companies. But to be honest, it's not the best business model I would recommend. Like I've said earlier, Affiliate Marketing is my top recommended business model. You don't have to purchase certain products every single month just to be qualified for commission. In affiliate marketing, you earn commission based on your own effort. You have the freedom to promote any products you like to make money. For MLM, you must be promoting the products from the same company. 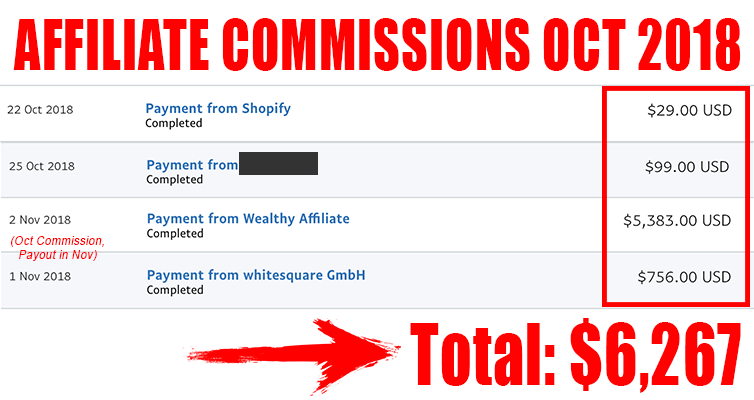 So, can you start to see why I like affiliate marketing so much? Though I have a friend that has lost almost 50lbs and is in love with this diet, the cost even though I can afford it I cannot justify such a high price when you have to buy your own food from the grocery store. Unless I read it wrong it is a lot of money for snack bars and shakes. This was ON POINT as a previous customer and turned Coach turned…left the program. Great review!!!!! I couldn’t have written a better review! Unfortunately your information about Optavia is not all correct. Doing your research before posting incorrect information is much better for your personal business Jerry. For one, they are not a MLM. They are an optimal health program focusing on long term health and healthy habits. They have many eating plans and do incorporate your own food while using their “fuelings” as a short term vehicle to help their clients create healthy habits. It is always a choice of people on the plan which meal plan they prefer. Transitioning into their own food is a big part of their program. The food, to your point, is very clean with all the vitamins and probiotics needed and as you pointed out, they do have non GMO food as well and there is nothing “artificial” about their food. Their coaches are certified through the Center of Obesity Prevention through Villanova University and are very well trained. They are trained to coach healthy habits and lifestyle, linking arms with their clients and coach at a very high level. Coaches, as well as clients are on a healthy eating plan with different goals. They are not on “diets”. Optavia’s mission is to change the course of health in our country and the world! A mission that few companies share. Please do better research before giving incorrect information about a business that you may only have heard about. Thanks for sharing the information with us Sue. If it’s not MLM, would you please explain what business model they adopt? Massively overpriced program of “artificial” foods. What people need is something more like Wheat Belly where you actually are eating REAL food, where you are taught the science of bad and good foods and actually educate yourself on a continuing way of eating for health and longevity. Wheat Belly completely removes cravings for any of the old sweet foods that lead so many astray. Additionally, I looked at some of the suggested “snack” fuelings and 10 grams of sugar is something that should never pass our lips!! Thanks for sharing Jan Han! You went through this I’m guessing as best you could. But, you really can’t make a final conclusion about something without trying it your self. Optavia actually does include exercise in their diet. That is if you choose the correct plan. Optavia offers several plans that seem they are for weight loss, but they aren’t. I think that is the biggest misconception about Optavia. Optavia is not really about weight loss, at least, not in a whole. It’s about offering a healthier alternative for a few months, not permanently, so that a person feels more comfortable with their body. Yes, the diet is expensive beyond balls, but it’s well beyond worth it if you take into consideration why. Secondly, the Optavia “Coaches” are people who are on the diet, and take their knowledge and pass it on to other people. Yes, while you can make money off of it, you really can’t be a coach if that is your main reason. A lot of people who lost weight and feel good in their own bodies now wouldn’t have that if it weren’t for so many of the coaches. It seems that you pulled a lot of information from Optavia, put in your own biased two cents, then trashed it to promote yourself. Maybe try it before ya knock it.